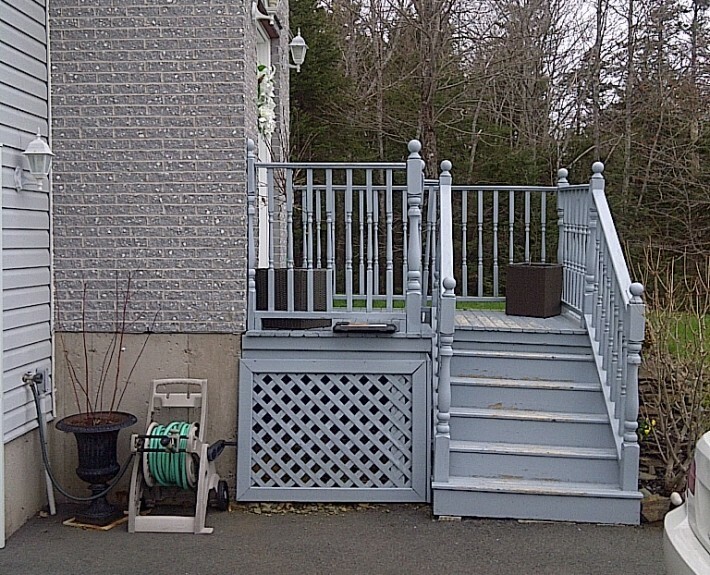 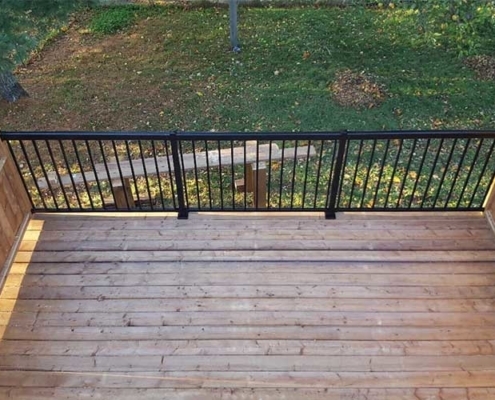 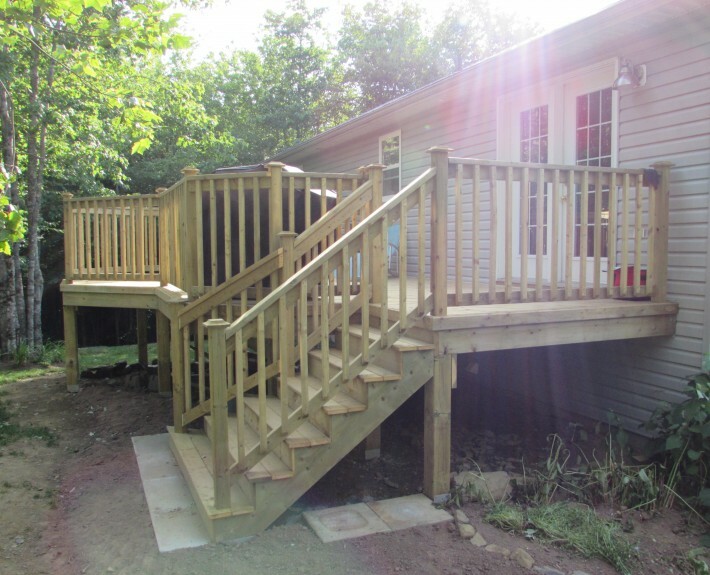 They wanted to get rid of their slightly outdated front steps and replace their rear builder deck with something modern and eye catching. 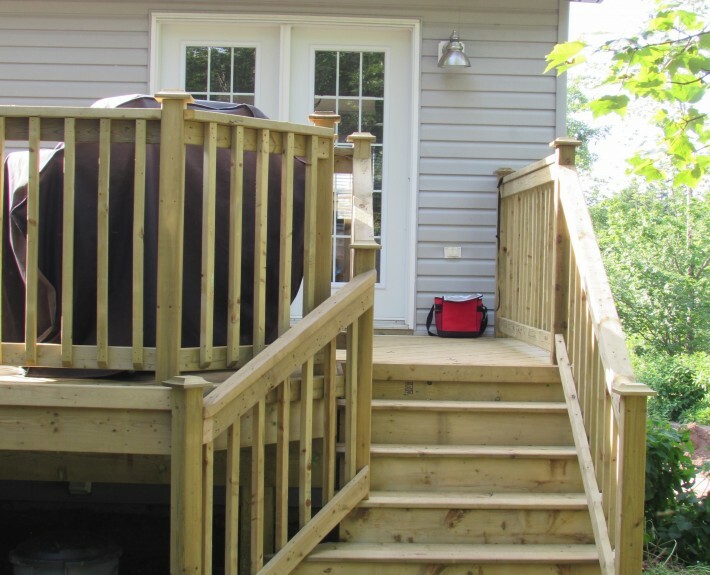 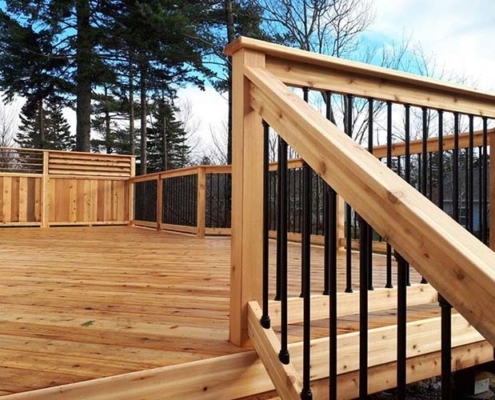 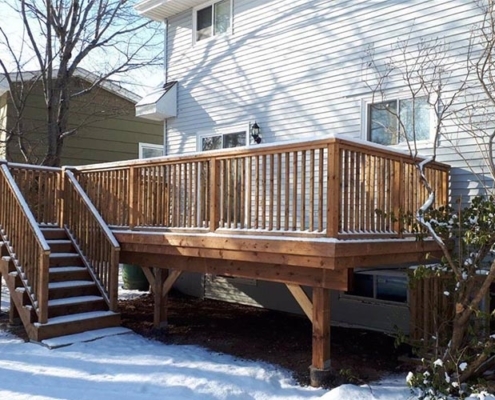 Creating a larger deck with an octagonal dining area, complete with a flared set of stairs fulfilled this vision. 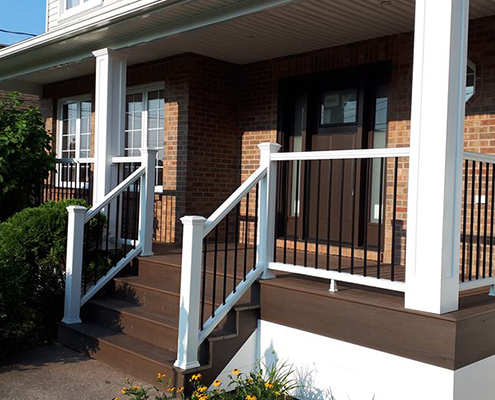 Changing the front steps to a full stone retaining wall and stair case in front yard complete with a black aluminum railing revived the front entrance with a low maintenance option.